First Ever Winter Senior Days! SENIOR GALA! Open to all Seniors; tickets are going fast! 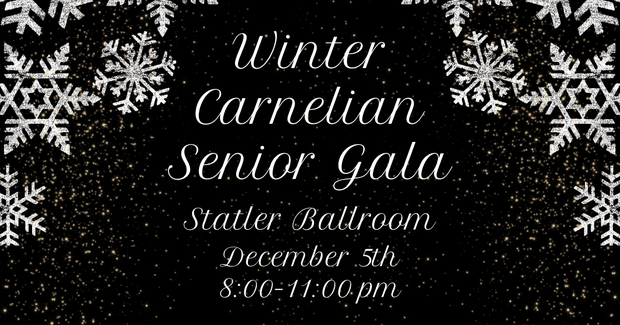 The Senior Days Committee is proud to present and invite the December Graduating Class to the Carnelian Senior Gala. We have decided to begin hosting winter Senior Days events this year to celebrate December graduates as well! Grab your tickets fast! Join us on Wednesday, December 5th at the Statler Hotel Ballroom for a night of gourmet food, drinks, and dancing. Dean of Students, Vijay Pendakur will be the guest of honor, giving the annual "Graduation Toast" to the December graduates. The toast will be given promptly at 8:15pm. Semi-formal attire, black tie optional. Tickets will be $25. Ticket includes two free drink tickets, appetizers, music, and photos. You can see our Facebook event page here. Do you like painting and fancy foods? Then, this is the night for you! 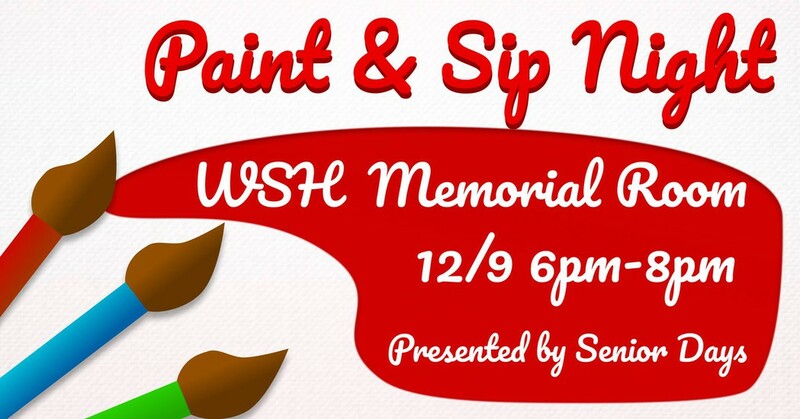 Join your fellow seniors in WSH Memorial Room for a guided painting lesson of Cornell's beautiful campus! Easels, brushes, art supplies and fancy finger foods are included with each ticket. Cash bar will be available for alcohol drinks BUT not included in the free ticket. Brought to you by the Senior Days committee. Please contact seniordays@cornell.edu if you have any questions!